It’s the very last STAR WARS CELEBRATION of the SKYWALKER SAGA …. which means, this is your last chance to jump into a weekend celebrating the most epic adventure film series of all time…. it’s going down in Chicago April 11 – 15, 2019! 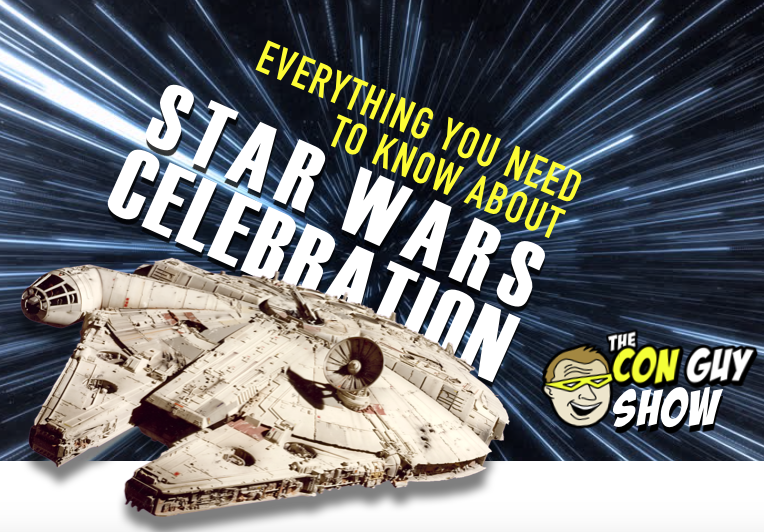 We’ve got the inside scoop on all the panels, the guests, the announcements, and the special events of STAR WARS CELEBRATION 2019! Watch live Monday night, April 8 at 10:15 PST on Youtube, or listen anytime on iTunes, Spotify, soundcloud, or anywhere else you listen to podcasts.